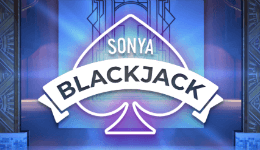 Blackjack doesn’t usually need much introduction, Blackjack long history and such worldwide popularity pretty much speaks for itself. 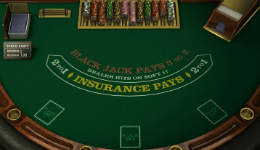 One of the reasons why the game has survived the test of time and will certainly continue to do so is the fact that new blackjack games are invented every year, thus creating additional fun and excitement. We all know how blackjack is played – the dealer deals the cards, you place a wager and pray to reveal a more favorable hand than the dealer without it going over the number 21. 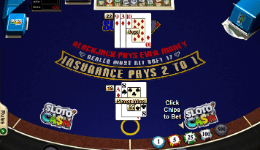 To make the game more exciting and accessible, a wide array of side bets emerged, including even Progressive blackjack types. Super 4 Blackjack is the recent addition. Unlike most other side bets, a Super 4 wager wins whenever the dealer gets a blackjack hand. Currently, you cannot play it online since it’s only available in a small number of American land-based casino venues. If your looking for something a bit similar, then you should take a look at our Progressive Blackjack games portfolio. Some of the casinos offering Super 4 Blackjack go as far as to attach a progressive bonus prize to the game. 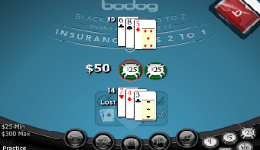 In such case, player combines his or hers two cards with the dealer´s two cards to make a 4 card Poker Hand. A Royal Flush in Diamonds wins Progressive Jackpot. The Super 4 bonus is normally available for $5 bet, but certain casinos make it available for $1 bets as well. If it´s a Super 4 Progressive, it can pay out 10 different ways, starting with $15 and reaching the progressive jackpot. In the gambling world you can never be sure if you’ve found the perfect strategy to match your ambitions, or even if the strategy will work at all. Mainly because gambling involves games of chance and there isn’t much you can do about it. However, blackjack is the only table game that requires some skill. You can get into basic blackjack strategies and studying the game’s many variations, but the point of it all is learning to play smart when it comes to placing a bet. Same advice applies to side bets, and Super 4 too. Ask yourself are you capable of sustaining a loss? Is it the right time to place a Super 4 bet? Should I pursue the progressive jackpot by placing a Super 4 wager over and over again? Base your answers on the bet requirements, and the casino´s pay table. Now, side bets like Super 4 are rather tempting. They really are a fun detour from the regular game. But if you get far away from your initial bankroll management plan, then it would be best to leave the game and try out this memorable and rare variant of 21 on another occasion. If you find it exciting enough and are good in managing your bankroll, Super 4 blackjack can easily become your favorite.